Представлено результати вимірювання середньої прозорості F(z) нейтрального міжгалактичного середовища в лінії Lα. Для цієї задачі було використано вибірку з 33 спектрів квазарів високого розділення (R = 5300... 45000), які були відібрані з публічно доступного архіву Європейської Південної обсерваторії за допомогою інструмента віртуальної обсерваторії. Для проведення континууму в кожному спектрі вручну були відібрані точки з найбільшим значенням потоку в області Lα-лісу, по яких було проведено інтерполяцію сплайн-поліномом. Отримані значення середньої прозорості F(z) були апроксимовані за допомогою степеневого закону τeff =α(1+z)β, де α =4.4+0.4-0.2*10-3 , β=3.278+0.083-0.054 для значень, отриманих методом усереднення F(z) по кроках Δz= 0.1 і α =10.6+1.1-1.0 *10-3,β = 2.685+0.081-0.071 — усередненням по всіх спектрах. Результати порівнювались з результатами попередніх робіт з використанням спектрів квазарів низького та середнього розділення. 1. J. N. Bahcall, J. Bergeron, A. Boksenberg, et al., "The Hubble Space Telescope quasar absorption line key project. I. First observational results, including Lyman-alpha and Lyman-limit systems". Astrophys. J. Suppl. Ser, 1993. 87, 1—43 (1993). 2. G. D. Becker, P. C. Hewett, G. Worseck, J. X. Prochaska, "A refined measurement of the mean transmitted flux in the Lyα forest over 2 < z < 5 using composite quasar spectra". Mon. Notic. Roy. Astron. Soc, 2013. 430, 2067—2081 (2013). 3. M. Bernardi, R. K. Sheth, RaoSubba, et al., "A feature at z ~ 3. 2 in the evolution of the Lyα forest optical depth". Astron. J, 2003. 125, 32—52 (2003). 4. A. Dall'Aglio, L. Wisotzki, G. Worseck, "An unbiased measurement of the UV background and its evolution via the proximity effect in quasar spectra". Astron. and Astrophys, 2008. 491, 465—481 (2008). 5. V. Desjacques, A. Nusser, R. K. Sheth, "The probability distribution function of the Lyman α transmitted flux from a sample of Sloan Digital Sky Survey quasars". Mon. Notic. Roy. Astron. Soc, 2007. 374, 206—219 (2007). 6. X. Fan, M. A. Strauss, R. H. Becker, et al., "Constraining the evolution of the ionizing background and the epoch of reionization with z ~ 6 quasars. II. A sample of 19 quasars". Astron. J, 2006. 132, 117—136 (2006). 7. C. -A. Faucher-Giguere, J. X. Prochaska, A. Lidz, et al., "A Direct precision measurement of the intergalactic Lyα opacity at 2 < z < 4. 2". Astrophys. J, 2008. 681, 831 —855 (2008). 8. E. M. Hu, T. -S. Kim, CowieL. L. , et al., "The distribution of column densities and B values in the Lyman-alpha forest". Astron. J, 1995. 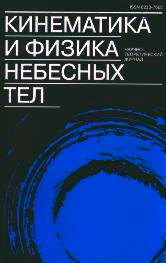 110, 1526 (1995). 9. T. -S. Kim, J. S. Bolton, M. Viel, et al., "An improved measurement of the flux distribution of the Lyα forest in QSO absorption spectra: the effect of continuum fitting, metal contamination and noise properties". Mon. Notic. Roy. Astron. Soc, 2007. 382, 1657—1674 (2007). 10. T. -S. Kim, R. F. Carswell, S. Cristiani, et al., "The physical properties ofthe Lyα forest at z > 1. 5". Mon. Notic. Roy. Astron. Soc, 2002. 335, 555—573 (2002). 11. T. -S. Kim, S. Cristiani, S. D'Odorico, "The Lyα forest at 1. 5 < z < 4". Astron. and Astrophys, 2001. 373, 757—781 (2001). 12. L. Lu, W. L. W. Sargent, D. S. Womble, M. Takada-Hidai, "The Lyman-alpha forest at z approximately 4: Keck HIRES Observations of Q0000-26". Astrophys. J, 1996. 472, 509 (1996). 13. P. McDonald, J. Miralda-Escudé, M. Rauch, et al., "The observed probability distribution function, power spectrum, and correlation function of the transmitted flux in the Lya forest". Astrophys. J, 2000. 543, 1—23 (2000). 14. J. Schaye, A. Aguirre, T. -S. Kim, et al., "Metallicity of the intergalactic medium using pixel statistics. II. The distribution of metals as traced by C IV". Astrophys. J, 2003. 596, 768—796 (2003). 15. A. Songaila, "The evolution of the intergalactic medium transmission to redshift 6". Astron. J, 2004. 127, 2598—2603 (2004). 16. O. Torbaniuk, "Influence of the continuum determination method on the mean transmission in the Lyα forest". Adv. Astron. and Space Phys, 2016. 6, 34 —40 (2016).